"The movie was fabulous. We all found it an accurate and profoundly moving experience. It was quite amazing to see such realistic and vivid depictions of the discussions we have with our patients every day up on the silver screen." 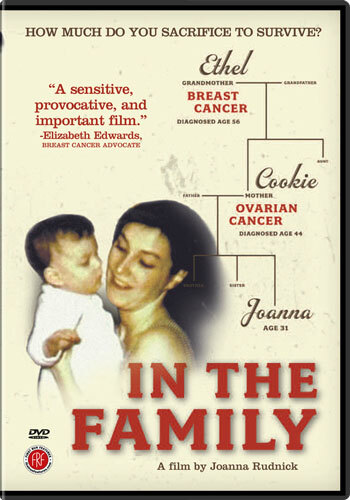 "With breathtaking honesty, skillful artistry, scientific accuracy, and loving care, Joanna Rudnick tells her own story and that of many other families wrestling with a genetic report that spells BRCA1 -- breast and ovarian cancer. I have never seen a film that revealed the human side of the new genetics more compellingly." "If the measure of a good film is that you're still thinking about it days later, then In the Family is the best movie I've seen all year."